Learn more about what colleges mean when they talk about “diversity,” and how it affects your college experience. 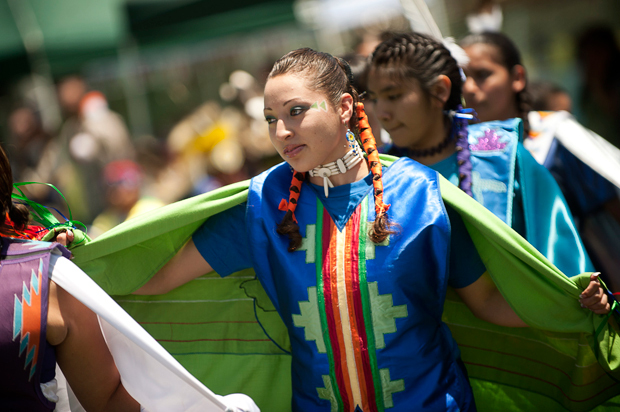 UC San Diego's 1st annual Powwow took place in 2011. It was hosted by UCSD's Native American Student Alliance. Over the course of your college search, you’ve probably come across the term “diversity” more times than you can count. What makes this factor so important to prospective students? The truth is that diversity may play a smaller or larger role in your quest to find the right college depending on your own background and your academic and social priorities. To help you find your college match, we’ve created this simple guide to campus diversity. Now that you understand more about diversity and how it impacts your college experience, it’s time to look for a college that matches your requirements in this area. On a college campus, “diversity” refers to the variety of people and experiences to which students will be exposed. While you may think of diversity mainly in terms of race or ethnicity, there are actually multiple student characteristics which can contribute to a diverse campus, including religion, cultural background, geographic location, socioeconomic status, sexual orientation and ability. These characteristics can apply to the students, the professors and the administration. Your own background may be a factor when admissions committees review your application. In fact, many admissions offices consider some or all of these factors when looking for prospective students to make up the following year’s class. In fact, some schools even pose a question along the lines of “How will you contribute to the diversity on campus?” to students in the form of a college application essay. Again, this doesn’t just apply to your race or your religion. Colleges also look for some of the intangibles which make up a diverse student body, like a range of academic interests, personal experiences and ideological views. While most schools don’t hold quotas in any areas considered to add to a college’s diversity, there is one important thing to keep in mind. Affirmative action is a specific federal agenda enacted in the 1960s intended to protect minorities from discrimination in the workplace and when pursuing an education. This strategy is employed at certain colleges and universities to ensure that certain groups are not discriminated against in the admissions process, while also increasing campus diversity. Because this approach has received some criticism in years past, colleges tend to be more cautious when it comes to admitting students with the intention of increasing diversity. The University of the Pacific is dedicated to creating a welcoming community for all it's students. When it comes to choosing a college, how much should diversity factor into your decision? There is no definitive answer because it will depend on your own personal preferences and priorities. From a practical standpoint, a person who falls into a minority group may seek out a diverse college so that they can find more people who share their background on campus. On the other hand, students who haven’t been exposed to different kinds of people while growing up may want a diverse campus that will introduce them to new people and ideas. Diversity on campus also affects what types of activities you may be participating in during college. You may be able to take courses on unfamiliar topics regarding race, religion or cultures. There may be a great variety of cultural organizations and clubs on campus that you can join. Unique cultural events and celebrations may be more common on a diverse campus as well. In a more general sense, a diverse campus has the potential to create a richer educational experience. In addition to meeting people from all types of backgrounds, you’ll also be exposed to new perspectives. While diversity certainly applies to race, socioeconomic background and religion, there’s more to it than that. In a broader sense, diversity also applies to the different opinions and ideas present on campus, including political affiliations, academic passions and individual beliefs. Being exposed to these varying ideas and backgrounds can help you grow as a person and be more prepared for your entry into the working world after graduation. UC Irvine has has an Office of Equal Opportunity to promote diversity on campus. Now that you understand more about diversity and how it impacts your college experience, it’s time to look for a college that matches your requirements in this area. While you research various schools, it’s important to keep your own personal priorities in mind. Ask yourself whether each college’s community will help you to learn and grow as an individual. Consider whether you want to be around people who identify with your own experiences or those who will challenge you with new ideas and viewpoints. Research the various cultural organizations and campus programming at each school to see if the resources that you want will be available to you. If the topic of diversity is important to you, make sure you research what each school has to offer in order to find a good match.